After just five years, Giving Tuesday has emerged as a meaningful alternative to America’s post-Thanksgiving shopping binge. The day for giving was started in 2012 by New York’s 92nd Street Y and the United Nations Foundation as a response to the rampant consumerism from Black Friday through Cyber Monday. San Diego Council on Literacy — You can give the priceless gift of literacy through a donation that supports the countywide efforts of this well-known nonprofit. Over the past year, it’s programs have helped 171,000 people of all ages. 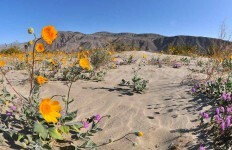 Anza-Borrego Foundation — The official nonprofit of Anza-Borrego Desert State Park — the largest state park in California — provides financial support for park programs, acquires land for conservation, and supports relevant research. You can become a member for $25 or give $50 for a commemorative 50th anniversary t-shirt. Salk Institute — One of the world’s premiere research institutions depends on donations to fuel the high-risk, high-reward ideas that drive its scientists to solve some of biology’s biggest mysteries — a develop cures for dangerous diseases. Partnerships with Industry — Give the gifts of pride, self-confidence and independence by helping people with disabilities succeed in the workforce. This nonprofit works with over 200 local businesses to create employment opportunities. You can donate or volunteer to help. Jacobs and Cushman San Diego Food Bank — This nonprofit is seeking to raise $15,000 on Tuesday to feed children, families and seniors. Every $100 donated can be leveraged to provide 500 meals. You can make a one-time or recurring donation. 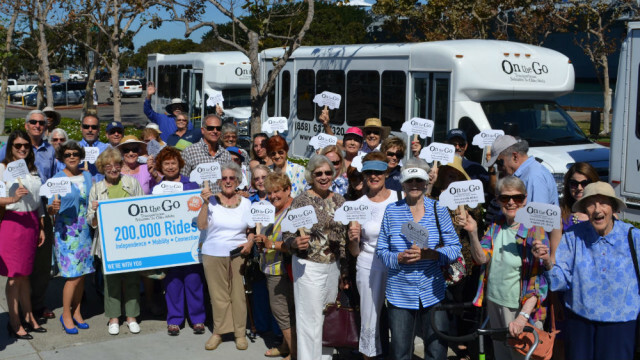 Jewish Family Service of San Diego — This nonprofit’s “On the Go” transportation program gives seniors of all faiths and backgrounds their independence and mobility. Services range from shuttled field trips, to Uber-like transportation for appointments and errands, to rides to JFS’s Older Adult Centers. You can help by becoming a volunteer driver or donating. San Diego Public Library Foundation — Your gift to this nonprofit helps build a more literate, educated community by supporting story times for children, giving adults a second chance to earn an accredited high school diploma and teaching San Diegans to use the latest technology. Donations on Tuesday will be matched dollar-for-dollar by the Lily Lai Foundation. 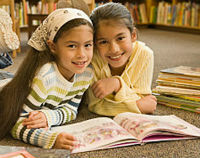 San Diego Youth Symphony — Like reading, music education should be a part of every child’s life. This nonprofit enables children and teens from all over San Diego to play in an orchestra. If you donate $100, you’ll receive a CD featuring students from the symphony’s most advanced ensembles. United Way of San Diego County — Not sure how best to give? The United Way works with hundreds of nonprofits, solving complex problems by bringing together community partners and resources to create permanent change. All donations made directly to United Way benefit local children and families.